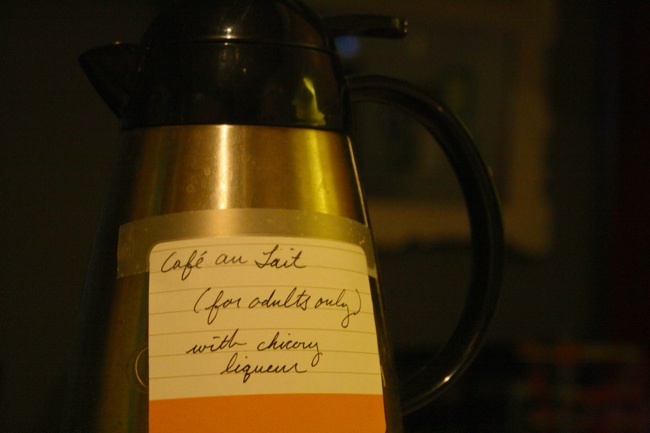 A few new coffee liqueurs are hitting the market, and I got to try them. Below Deck Coffee Rum retails for $18, Kahlua Midnight for $22, and Hoodoo Chicory is $24 for a half-sized bottle (375 ml). Other than the coffee connection, these are all pretty different products. Below Deck Coffee Rum is from Eastside Distilling in Portland, and it shows. Marketed as coffee rum rather than coffee liqueur, Below Deck smells like your favorite corner coffee shop. This is a strong drink (70 proof), and while I tried mixing it in traditional coffee liqueur cocktails like a White Russian, I found Below Deck tasted the best on the rocks with a splash of cream. Kahlua Midnight. The replacement for Kahlua Especial, Midnight is very much a Kahlua product. It has the iconic Kahlua flavor, but with less of the syrupy characteristics you find in standard Kahlua. It’s a stronger drink, too (70 proof), and much like Below Deck, it’s less mixable as a result. White Russians were too strong and unbalanced with Midnight, and I realized that Midnight and cream was the best fit here, too. This entry was posted in liqueur, recipes, reviews, rum and tagged below deck coffee rum, cocktail in thermos, coffee liqueurs, coffee rum, Eastside Distilling, hoodoo chicory, hoodoo chicory liqueur, hoodoo chicory liqueur cocktail recipe, hoodoo chicory liqueur recipe, hot cocktail pitcher recipe, kahlua midnight, pitcher cocktails on March 5, 2013 by Greg.